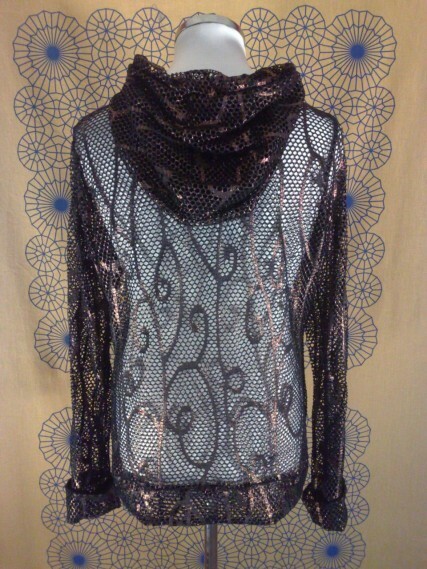 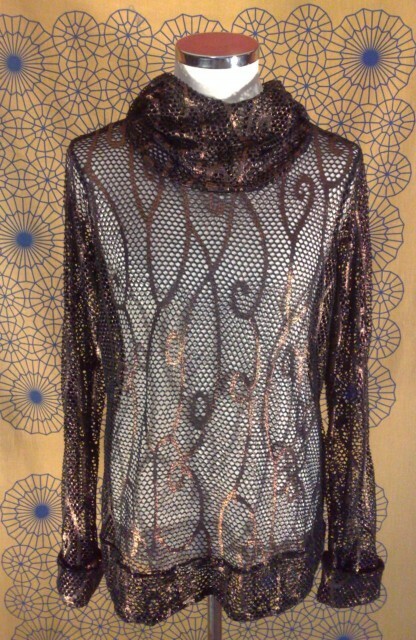 Unique synthetic stretch netted top with double layered endings, cuffs and hoodie. 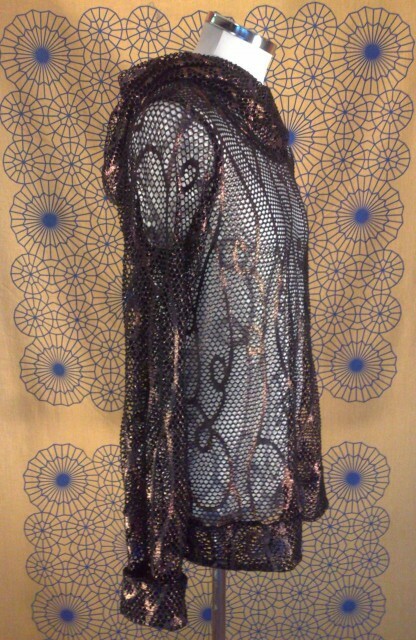 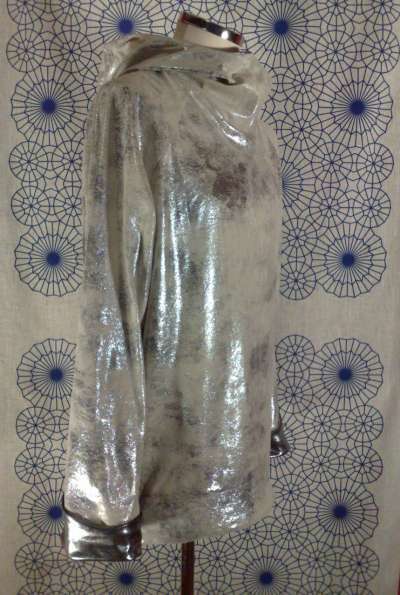 This piece sold, but can be re-ordered in different fabrics and sizes. Please send an email to info@darkstarfashion.com for the possibilities.